Crispbread, or as we Norwegian-folk call it: Knekkebrød is a staple in all Scandinavian homes. The theory behind Norwegian Baked is to share our decades-old tradition with you and your loved ones. 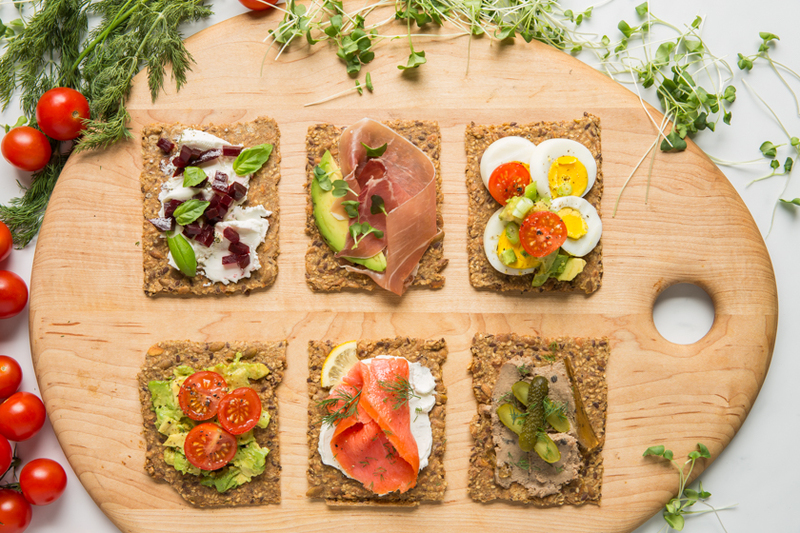 Baked fresh in Brooklyn each week by the founder herself, this salty organic and wholesome Crispbread is a Nordic tradition that you’ll be sure to adopt after trying. It’s naturally wheat-free and utilizes organic whole grains like rye flour, oat bran and oats as well as organic nutrient-rich seeds such as pumpkin, sunflower, sesame and flax. This fibrous, low-carb Crispbread is the perfect accompaniment to any meal. For breakfast, smear on some nut butter and a sprinkle of fruit or if you fancy something more savory, a fried egg will do just fine. Lunchtime brings a multitude of "sandwich" options from smoked salmon to egg salad; you can top Crispbread with almost anything. And don't forget dinnertime...our Knekkebrød works seamlessly as a side to a salad or a bowl of soup! Trust us, the uses are endless! Nut-free without compromising on that savory nutty taste, these Crispbreads come in two mouth-watering flavors. Our classic line checks all of the boxes when it comes to your standard Knekkebrød and for all of our salt-loving friends...reach for our “Sea Salt Flakes” flavor and let the crystal-like Maldon sea salt flakes do all the talking, or should we say, tasting! Mmm! Certified Kosher (PAREVE) by IKC, organic, vegan and a short yet clean ingredient list. What more could you ask for?